Perfect for displaying Belts, Ties or Scarves. 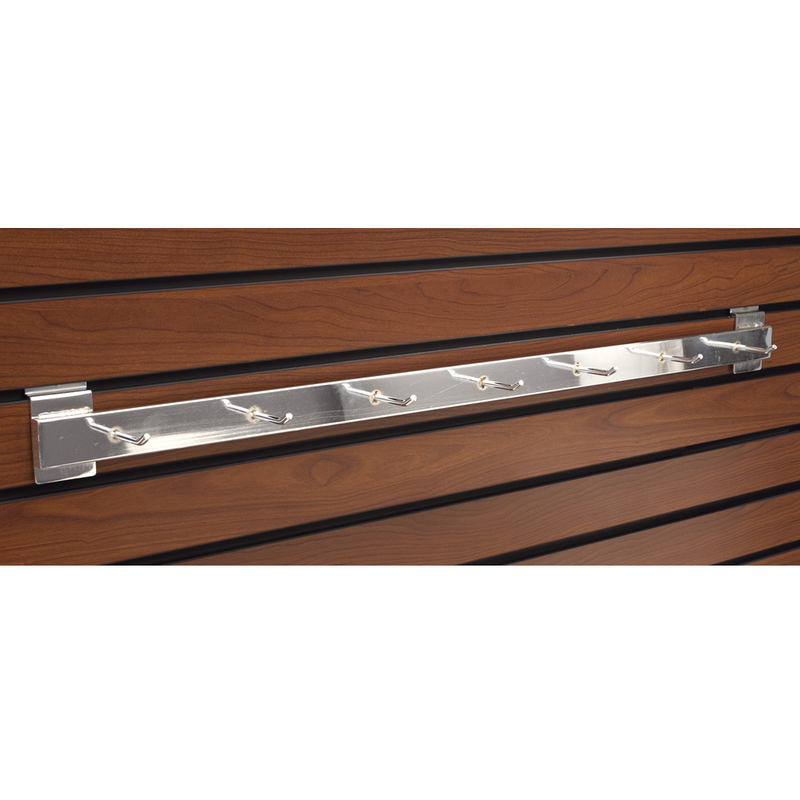 The Belt and Tie Rack for Slatwall is perfect for selling belts and ties when there is a limited display space. 7 peg hooks, each hook is 5 in. long. Display scarves by hanging with accessory clips 5023 or scarf rings item 5098.